9.25% APR for Cash Advances, Purchases and Balance Transfers! This card is one of the best low interest rates credit cards of United States. It only offers 9.25% APR for Cash Advance, Balance Transfers and Purchase. It is not finished yet! There is also no annual fee! No foreign transaction fee and no balance transfer fee! Maximum cash advance fee is only $1.5! 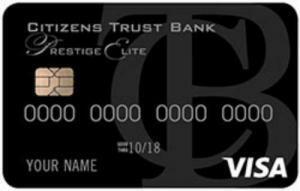 Why You Should Get Citizens Trust Bank Visa Prestige Elite? Because it provides awesome opportunity more than reward cards and cash back cards. Especially if you need a credit card for your general needs, this can be a very good opportunity for you. 9.25% cash advance APR is something that you can find hardly! 11.75% for Purchase and Cash Advance + 7 Months No APR + 1x Rewards! AmeriFirst Cash Back Platinum is a nice credit card which you can collect cash backs with 1% with one of the best low interest rates of United States. Besides there is introductory APR to consumers for 7 months. The cash advance APR is also 13.75%. The card is providing low interest rates for consumers with reward opportunities. 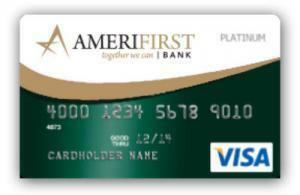 Why You Should Get AmeriFirst Cash Back Platinum? Because the card provides good opportunities for consumers. They can save money with cash backs and low interest rates of AmeriFirst Cash Back Platinum. Fees are reasonable and there is quite low Cash Advance APR of the card. Citizens Trust Bank Visa Classic ATL Credit Card is one of the most awesome cards in our best low interest credit cards listing. The card is offering 11.25% APR for cash advance, transfer and purchase. Besides you are going to earn 1 rewards points for your each $1 purchases. There is no annual fee, no transfer fee and $1.5 maximum cash advance fee of the card. You are not already pay for foreign transactions. 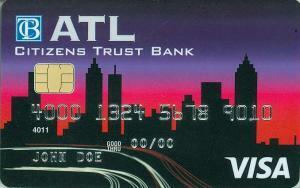 Why You Should Get Citizens Trust Bank Visa Classic ATL Credit Card? This is certainly another awesome card of Citizens Trust Bank. It doesn’t matter where you live, you can apply online to get this card from any states. All interest rates are very low. There is almost no fees of the card! 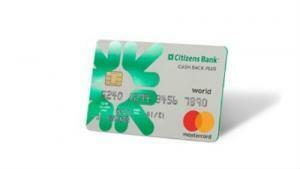 Citizens Bank Clear Value Mastercard came to our best list with long period introductory APR. It is now in our best low credit cards list. The minimum APR of the card is 14.49%. The card is also asking for low fees from consumers. No annual fee and long-term introductory APR making this card good for consumers. Why You Should Get Citizens Bank Clear Value Mastercard? This is one of low interest credit cards which is providing long introductory period. If you don’t want to pay interest rates for purchase and balance for a long time, this can be a good option for you. If you are planning to cash advance too much, we recommend you to look for alternative cards. Escambia County Bank Platinum Cash Back Card found a place in our low interest credit cards listing. It is because they are providing introductory period to consumers and it is also a low interest credit card. The card is also asking low fees. Why You Should Get Escambia County Bank Platinum Cash Back Card? 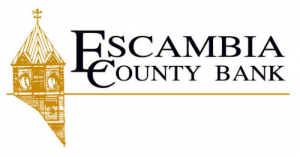 Escambia County Bank Platinum Cash Back Card is asking low interest rates from consumers. The card is also providing 1% unlimited cash back to consumers. 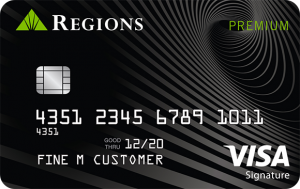 Regions Premium Visa is one of our favorite cards in Credit Cards Center. It also got a place in our best low interest credit cards listing with nice features. There is 12 months 0% introductory APR on Regions Premium Visa. The current interest rates of the card is also very low. Why You Should Get Regions Premium Visa? Good rewards rate, low interest rates, reasonable fees are the main feature of the card. This is very well-balanced card. We recommend you to go for this if you are looking for a low interest credit card with no foreign transaction and good rewards rate. Citizens Community Bank World Elite Card is the second lowest interest rate credit card in our list. However the card is asking high annual fee from consumers. This card can be very profitable for you if you cash advance, purchase and balance transfer with your card too much. You will need to calculate your expenses and see if it is worth to get despite of high annual fee. 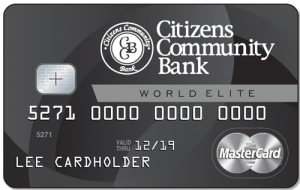 Why You Should Get Citizens Community Bank World Elite Card? This card is one of those low interest credit cards with no foreign transaction fee. The card is very promising with some other features. However if you don’t want to pay high annual fees, you will need to check alternative cards. You can check all other low APR credit cards here… We have determined rankings of the listing for 2019.